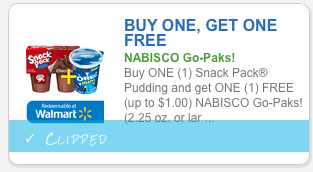 HOT: Snack Pack and Nabisco Coupon! Most store's have Snack Pack's for around $1! So with the above coupon, it make's each item $0.50 each!!! Cheap snack's! !